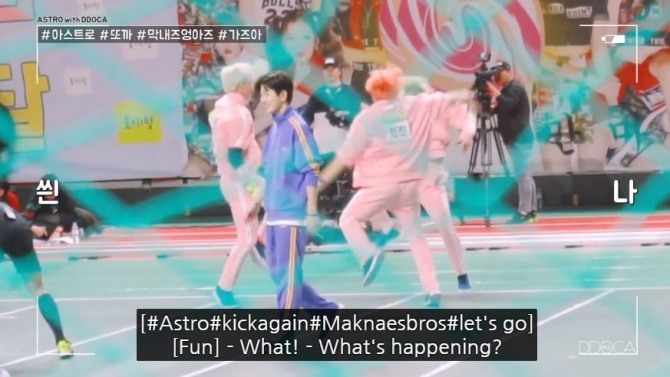 K-pop boy band Astro became the first champion of penalty shootout at MBC’s 2019 Idol Star Athletics Championship. 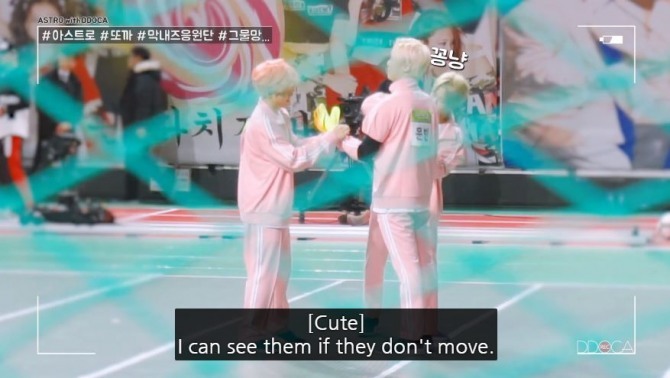 Astro revealed on Wednesday a video they shot from the scene during the show via V app. It is the first time a penalty shootout was included in the championship. One of the bandmates Yoon San-ha seems to be holding the camera, sitting next to Rocky on the cheering section. 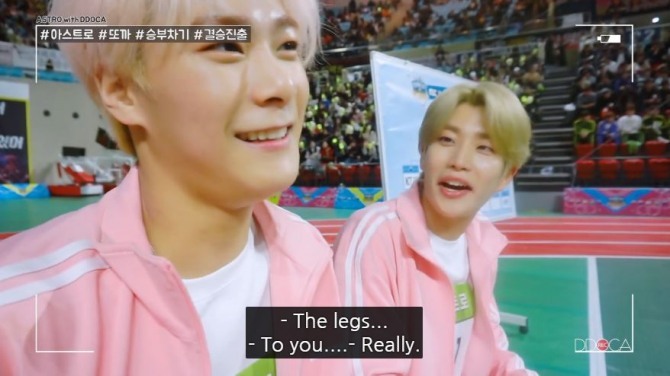 “We’re so nervous,” MJ and Moon Bin said over the net dividing the field from the seats. The three members wearing training suits in light pink shade walked on to the field. 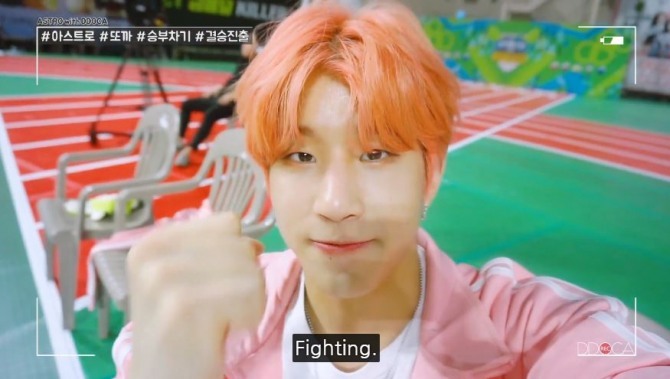 With MJ and Jin Jin’s successful shots and Moon Bin’s outstanding defense of their goal, the group easily advanced to the finals. 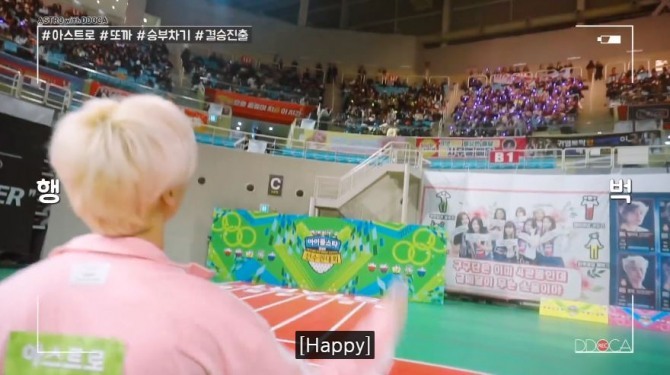 In the video, in between the games, the boys can be seen cheering along with their fans rooting for them. During the last game which decides their victory, the camera battery ran out. Nevertheless, Astro grabbed hold of the trophy, becoming the first idol champion of the penalty shootout. The band also won the men’s 400-meter relay race, which was first introduced to the championship this year. 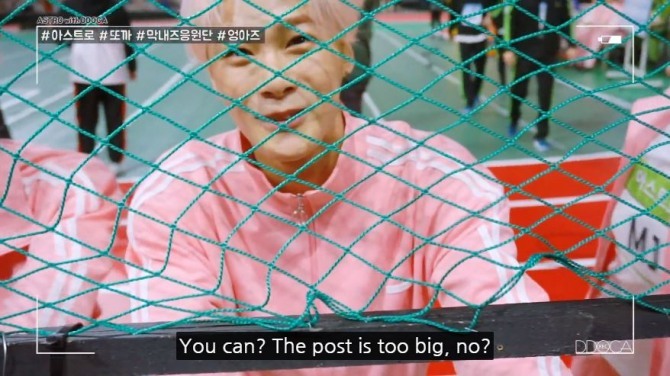 The Idol Star Championships is an annual event aired on TV since 2010. Many K-pop idol groups participate to compete athletically and also get acquainted with each other. 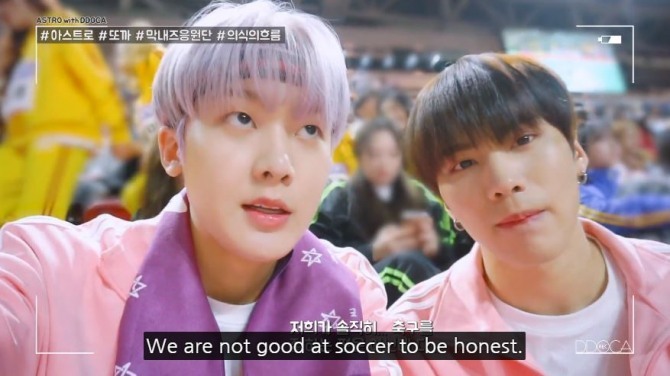 Watch Astro’s penalty shootout at https://www.vlive.tv/video/111889.